As the weight of proposals such as these and standardized testing crushes my innovation, imagination, and creativity, I can no longer look anyone in the eyes and recommend that they become a teacher. It breaks my heart when my daughter says that she wants to become a reading teacher and the only thing I can think of deep down in my heart is “please don’t let it happen.” I have been passionate about working with college students both as interns and student teachers. It has been one of the greatest benefits of my profession over the last 22 years. But this year I turned down a placement with me, and plan to continue to do so into the future. I can no longer assist people to become a part of a system that is hell bent on creating an educational genocide. "As a fellow educator, I share your frustration during these times of education reform. However, I believe that we should not give up hope on teaching. I believe that it is more important now than ever to become a teacher in this demanding and rapidly evolving world. We need passionate, creative teachers who will lead our nation in education and challenge the minds of our students who will be running the world in the 21st century." "We need to remain positive in education and know that each teacher can make a significant impact on our students. Teachers today can still find creative ways to successfully prepare students for their future AND meet state and national standards. We need to establish a healthy school culture by collaborating together to solve today’s problems in education. Negativity is contagious and creates a toxic environment to all of those exposed. Let’s stop complaining and start positively working together to collectively inspire new teachers and current teachers to be the change they wish to see in education! I have faith that if every teacher does his or her part, then we will have successfully reformed education. Let’s focus on the factors that we can control as teachers and make our best effort to positively improve those factors! Thank you for sharing your frustration, your vision and your commitment to the field of education!" 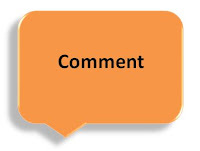 What might you have posted as a comment in response to Why I Continue Teaching? Thank you so much Lisa! 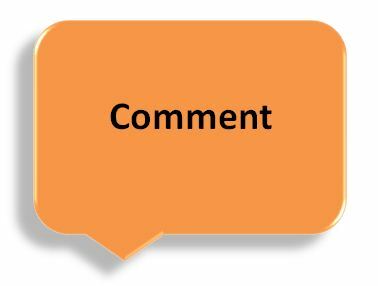 I really appreciate your feedback. Let's spread the optimism about teaching! Love this writing, and what a great way to spin it around, and turn the negative surroundings to a positive. Negative news will never turn out to be good. Stay positive, and great things will come to you! Thank you so much for your comment. I appreciate that you are also a positive thinker! Best of luck in your future endeavors!